AVI Systems came to us for a new website, but it soon became apparent that we needed to better communicate the company’s unique strengths across all channels. Our initial work led to complete brand overhaul for the nation’s fourth-largest provider of audiovisual integration services. A technology leader needs to have a sophisticated online presence. We gave avisystems.com an awesome one. All the desktop website offers is equally accessible via mobile device. 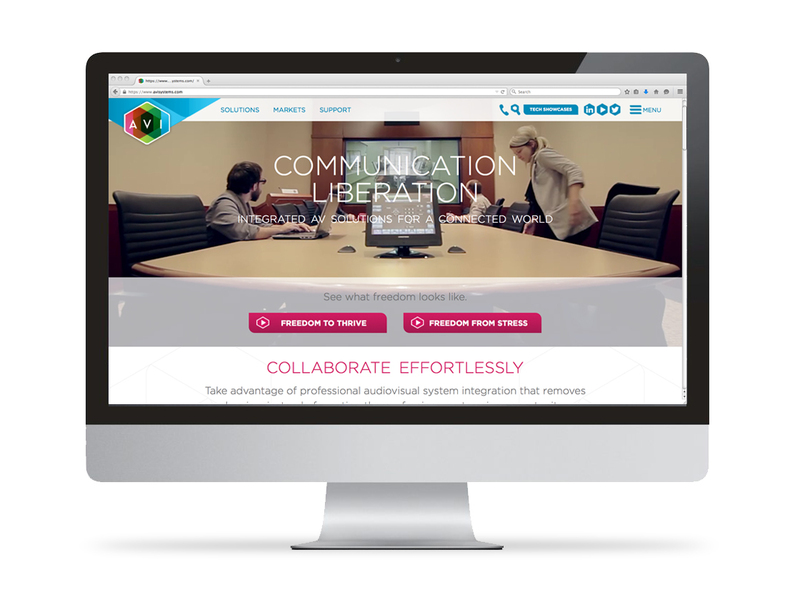 Among the videos we created for the AVI website was this overview of the company’s mission to bring Communication Liberation to its clients. This video demonstrates how Communication Liberation frees clients from their anxieties surrounding the adoption and use of AV technology. Supervox is ready to jump right into your Hubspot account and build your forms, pages or entire workflows. We love it in there. The client likes these handsomely designed emails — and analytics tell us that recipients do, too. The AVI website not only responds to users’ needs, it’s responsive to the dimensions of their browsers’ viewports. We designed and produced the AVI Solutions Spotlight installation for the company’s technology showcase events. This illustration depicts the efficiency of a design that allowed for four distinct communication environments to be set up quickly and economically within a small amount of space, then easily disassembled and packed for shipping to the next event. A poster featuring the logo and team identities from AVI’s 2017 National Sales Meeting. 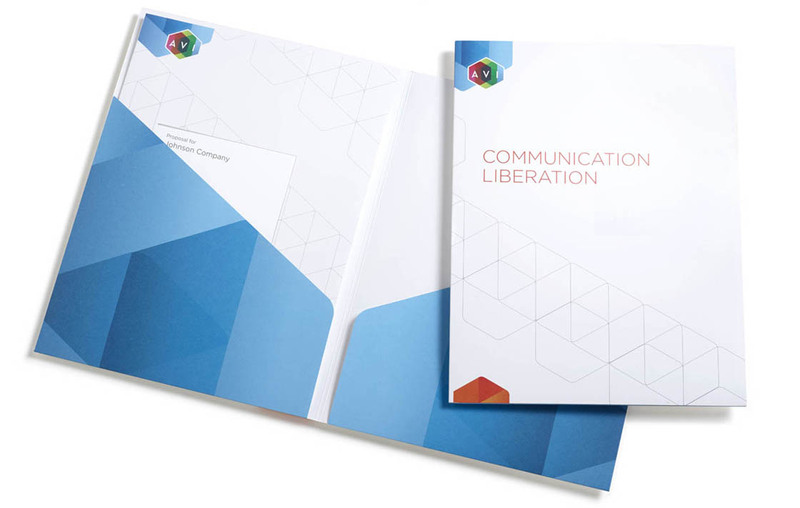 We created a comprehensive range of corporate collateral bearing the new brand messaging centering around Communication Liberation. 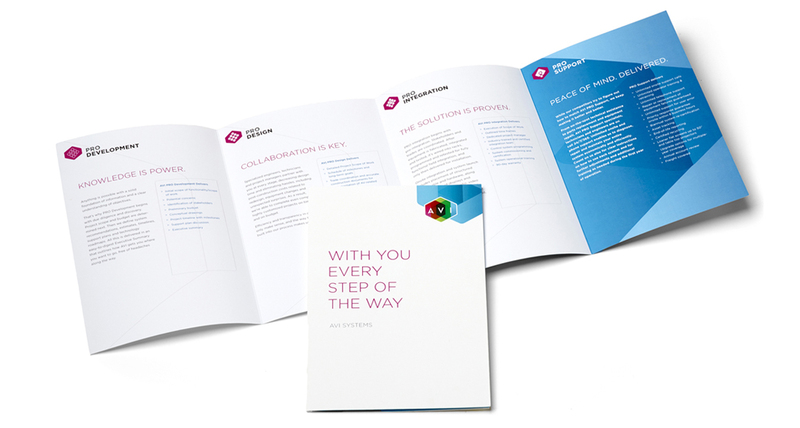 This multi-page brochure brought AVI’s offerings into high definition, while communicating the company’s new brand messaging. Another AVI differentiator: its process. Trust. Attention. Compassion. Detail – taking the time to put in that extra 5 percent to just make everything better. Contrary to most agencies I’ve worked with, the folks at Supervox truly care – about the project, about the relationship, about the future. Most advertising agencies in Minneapolis take advantage of small- to mid-size companies – not Supervox. 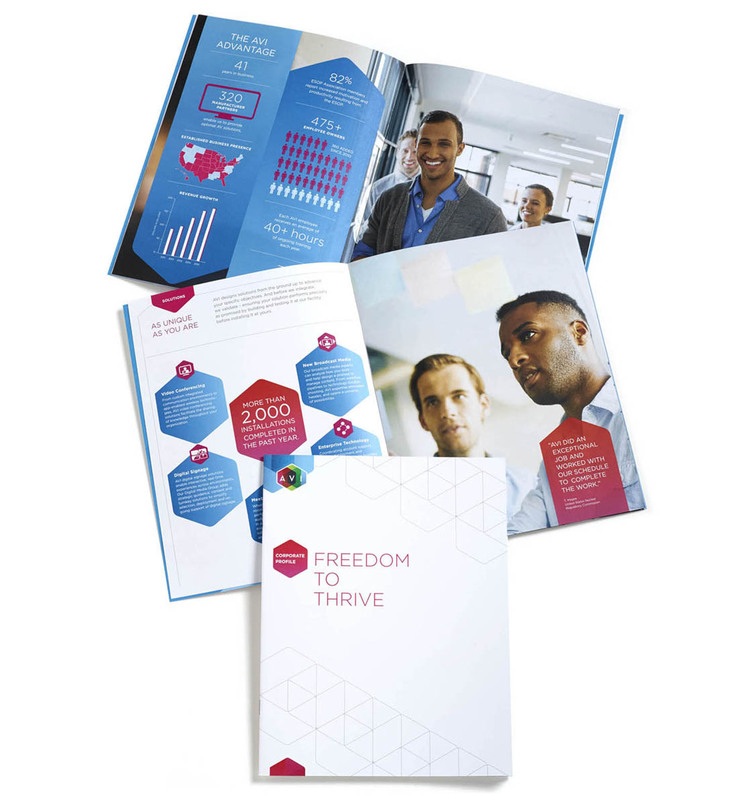 I’ve worked with them for years on everything from print and digital to multimedia and interactive design. I can’t speak highly enough of the entire group and can honestly say I don’t know what I would do without them. Supervox is that tiny jewel you only find once in a lifetime.